Harvesting and filtering rainwater is an exceptionally responsible move; not only is it eco-friendly, but it is cheap and the investment recoups itself very quickly. How much work, time and money you put into filtering your rainwater depends on how much water you want to use. For simple re-purposing such as water for a koi pond or gardening, the initial cost is very low and the system can be installed in about an hour. For larger systems, which will replace your dependence on the local utilities altogether, you're looking at extensive labor and investment. Either way, all rainwater filtration choices pay for themselves within three to four years. Filtering rainwater is easy, eco-friendly, and cheap. Decide how much rainwater you'd like to accumulate. If you need a full filtration system to completely replace the local utilities, then consult a full-system rainwater filtration company such as WISY or 3P Teknik. For a simple project like collecting rainwater for a koi pond, small amounts of drinking water, or gardening use, a simple sand filtration system works fine. Purchase a rain barrel from any retailer, including Amazon.com or any hardware store. Most people purchase one that is about 65 gallons that has a brass spigot attached to the bottom. To have your rain water filtered properly, be sure to purchase one that uses a slow sand bio-filter -- which consists of several feet of sand and a short layer of pea gravel. It is eco-friendly, efficient, and low-cost. 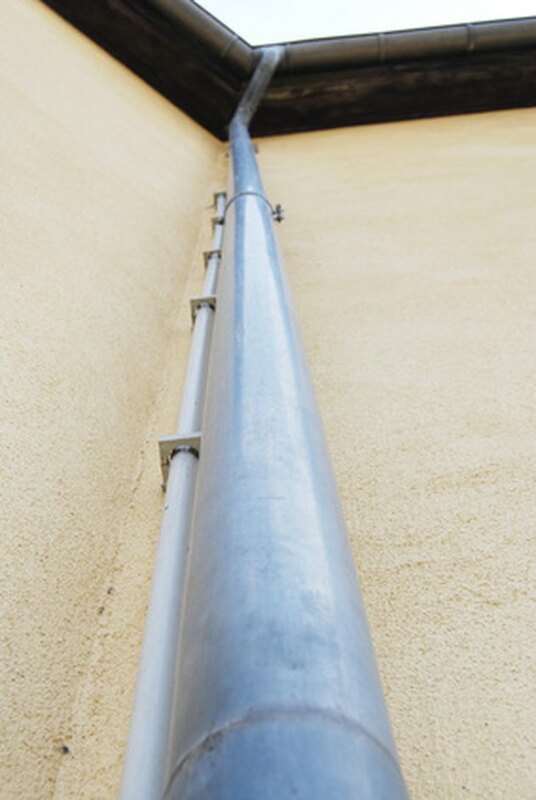 Clean your gutters before putting your rain barrel underneath one of the main gutter drains. This will cut back on the bacteria and the debris that enters your rainwater system. Place the rain barrel under a gutter drain, preferably elevated a bit by either evenly cut paving stones or cinder blocks. This will keep your barrel off the ground and enable the soil to drain well underneath. Pour the pea gravel into the barrel, followed by the prescribed amount of sand that is recommeded for your particular brand of rain barrel. Place the lid on top of the barrel. Once it starts collecting rain, you will notice a cloudy layer of water on top. This is desirable and is known as the hypergeal layer. This is were the good bacteria thrive and consume the bad bacteria such as eColi and where most of the debris will settle. Occasionally, it will need to be cleaned. Susanne Koenig has been a professional writer since 2004. She brings extensive online writing experience in the areas of household how-to and frugal living. While studying for her black belt, she writes on martial arts as well. Koenig holds a Bachelor of Arts in creative nonfiction from the University of Memphis.